HCM CITY — The HCM City People’s Court on June14 sent a case related to fraud and irresponsible lending practices at the Central Sài Gòn branch of the Vietnam Bank for Agriculture and Rural Development (Agribank) back to the People’s Procuracy for further investigation. 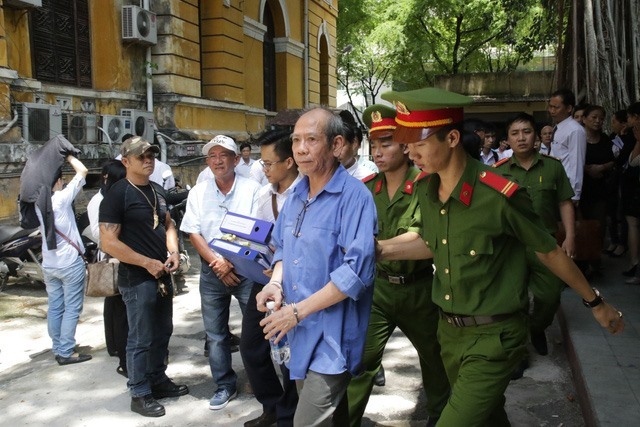 In the case, Phạm Văn Chính, former director of Á Châu company; Hoàng Văn Cường, former director of ADN company; and Đỗ Minh Quang, foundation member of the ADN company, were accused of “swindling and appropriating property”. Other defendants, including former branch directors Phạm Thị Mai Toan and Phí Thị Ong; former branch deputy director Đỗ Thị Yến; and two bank officers, Nguyễn Thị Thanh Vân and Nguyễn Thị Thùy Trang, were prosecuted on the charge of “violating regulations on lending activities of credit institutes” and “lacking responsibility causing serious consequences”. According to the indictment, American national Hoàng Tiến Dzũng founded six companies based in HCM City and hired people to work as company directors in order to borrow money from the bank. The companies reportedly failed to pay the bank loan interest. Subsequently, in November 2009, Dzũng falsified a project to get a loan of VNĐ90 billion (US$4 million) to help the six companies pay the loan interest, the court said. Fake documents submitted to the bank branch claimed that one of the six companies – Á Châu Company – had earned profits, but the company had actually incurred losses. Despite knowing the truth, Toan still approved the loan. Agribank lost VNĐ21 billion from the loan. Earlier, in April 2009, the Central Sài Gòn branch offered a loan of VNĐ75 billion ($3.3 million) to ADN company, whose director was Hoàng Văn Cường. Cường falsified documents that claimed the company needed investment for a rubber-tree plantation project in southern Bình Thuận Province, according to the court. Former bank branch director Phí Thị Ong signed the papers authorising the loan, although she was aware that Cường’s company was unqualified to take it out. ADN company was not able to pay back the loan.